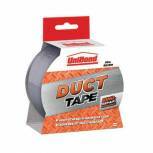 Unibond Duct Tape Silver 50mmx25m 1667753 Pack of 1 Unibond Silver Tape. 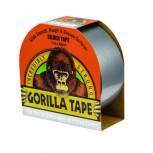 Extra strong, all purpose, waterproof tape has hundreds of uses around the home, office and school. Fixes, binds, mounts, repairs, joins seals, protects, reinforces and identifies. Size: 50mmx5m. 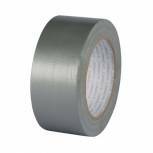 Q-Connect Silver Duct Tape 48mmx25m Roll KF00290 Pack of 1 Q-Connect silver duct tape. 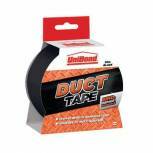 Ideal for repairs and extra strong fastening. 48mm wide. Supplied on 25m roll. 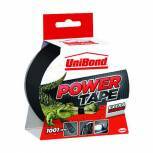 Unibond Duct Tape 50mm x25m Black 1517009 Pack of 1 Unibond Duct Tape 50mm x 25mm Black. 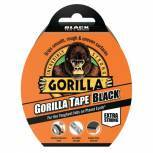 High strength adhesive for a secure, long lasting hold. Water resistant, heavy duty, tough and strong. Adheres to multi-surfaces and can be applied around uneven surfaces. No need for scissors. 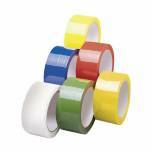 Polypropylene Tape 50mm x 66m Green (Pack of 6) APPG-500066-LN Pack of 6 Coloured polypropylene Tape. Low noise tape. 50mmx66m. Colour - green. 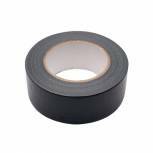 Black Waterproof Cloth Tape 48mmx50m RY07584 Pack of 1 Black waterproof cloth tape. Made from cotton and polythene film laminated together with a tough adhesive. Size: 48mm x 50m. 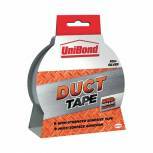 Unibond Duct Tape Silver 50mmx50m 1405197 Pack of 1 Unibond Original Duct Tape Silver 50mm x 50m 1405197. High strength adhesion. Water resistant. 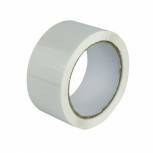 Polypropylene Tape 50mm x 66m White (Pack of 6) APPW-500066-LN Pack of 6 Coloured polypropylene Tape. Low noise tape. 50mmx66m. Colour - White. Polypropylene Tape 50mm x 66m Yellow (Pack of 6) APPY-500066-LN Pack of 6 Coloured polypropylene Tape. Low noise tape. 50mmx66m. Colour - yellow. 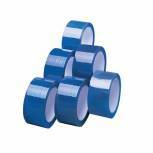 Polypropylene Tape 50mm x 66m Blue (Pack of 6) APPBL480066-LN Pack of 6 Coloured polypropylene Tape. Low noise tape. 50mmx66m. Colour - blue. 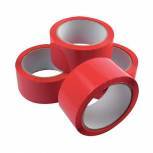 Polypropylene Tape 50mm x 66m Red (Pack of 6) APPR-500066-LN Pack of 6 Coloured polypropylene Tape. Low noise tape. 50mmx66m. Colour - red.